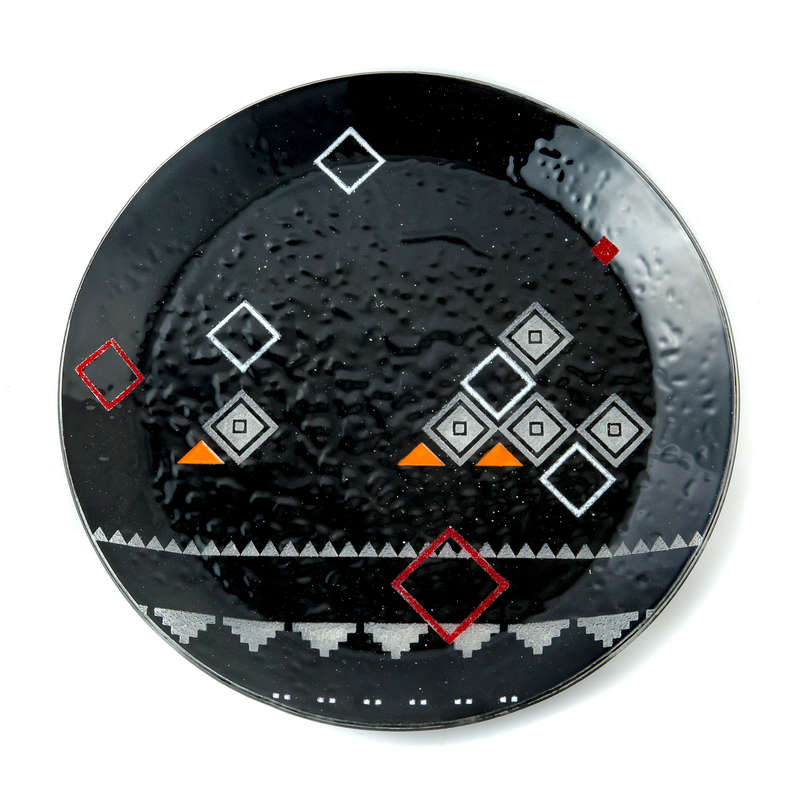 This glass plate decorated with mosaic motifs and evocative chromatic effects, is crafted with a glass fusion technique, through complex and detailed procedures; it is the result of a combination of innovative taste and skilled craftsmanship. Dedicated to Autumn, Attunzu, this glass panel evokes in its modular geometric composition the typical carpets of the local textile tradition. 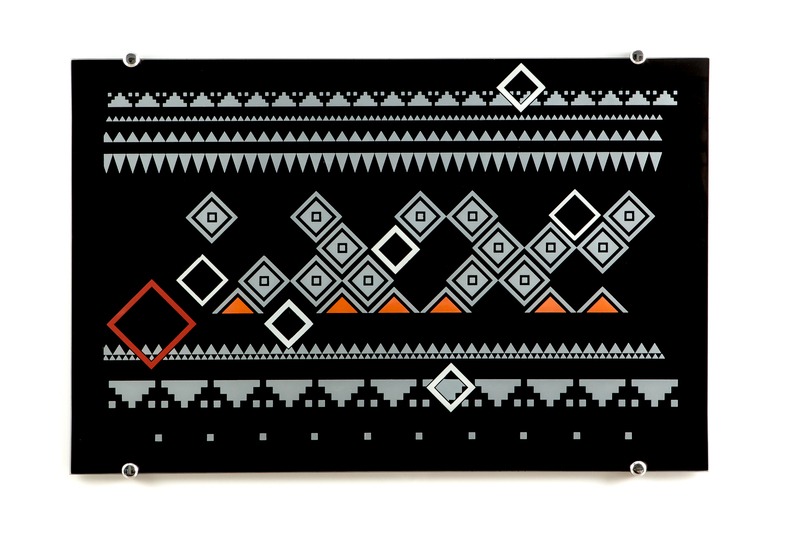 Dedicated to Autumn, Attunzu, this glass tray evokes in its modular geometric composition the typical carpets of the local textile tradition. 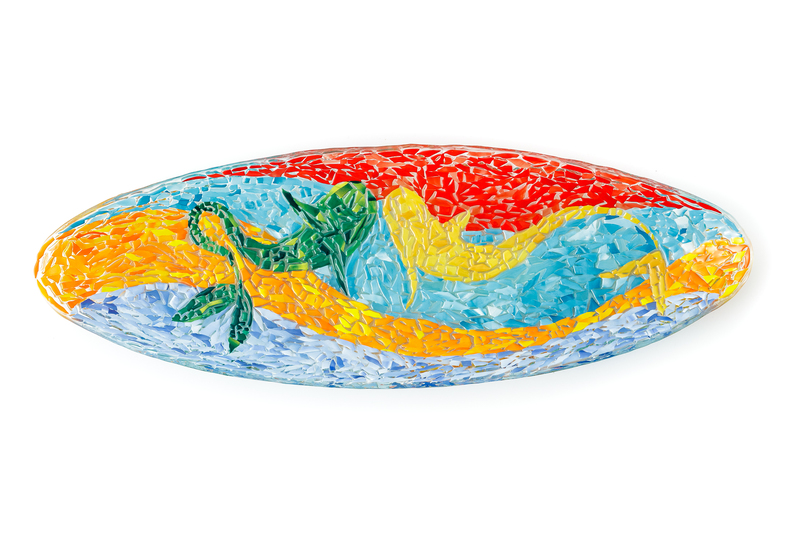 The elegant elongated shapes of this glass tray are finely decorated with mosaic technique inspired by the works of the Spanish artist Antoni Gaudi, in a symbolic representation of the sign of Pisces. 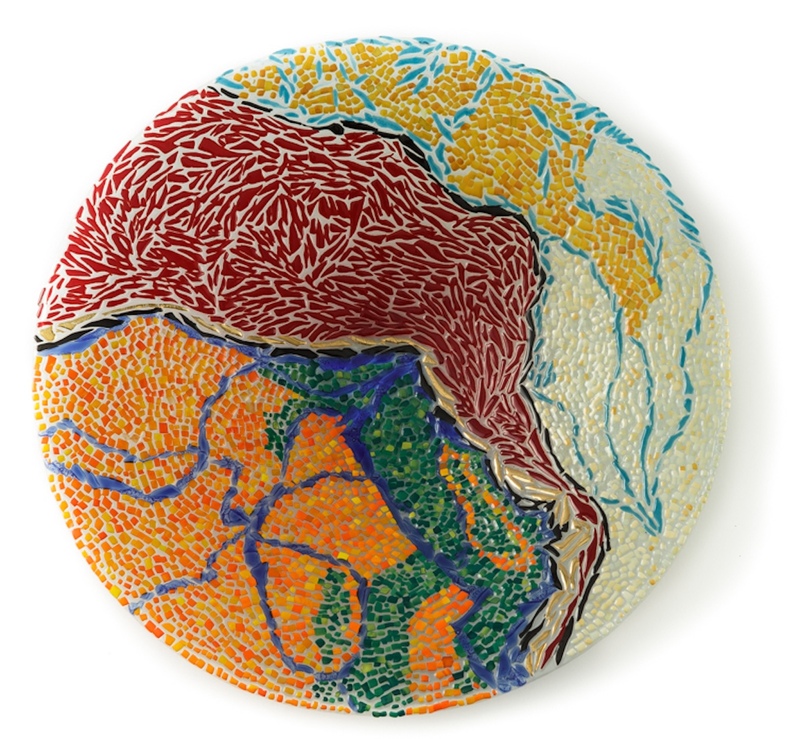 It is masterly crafted using the fused glass technique. When Sandro Moro was 19 years of age, after a period of apprenticeship, he opened his own workshop. He has been carrying out his professional activity ever since, with great passion and a personal research and experimentation in the distinctive local handicraft sector. Inspired by the works of Gaudi, with his colourful mosaics embedded in the environment, his creations feature colour compositions to great visual effect, made with pieces of coloured glass and designed to perfectly fit the space we live in. Vetrodesign manufactures public and private works. The AD magazine mentions it among the artistic Sardinian excellences and it has participated in several exhibitions in Italy and in Sardinia. In his workshop, Sandro Moro makes a wide range of unique creations, including simple objects to more complex and articulated furnishing and architecture accessories. Recently, he has created objects by recycling scrap glass. Fully-fledged furnishings, lamps, sculptures, illuminated objects capable of characterizing settings with diverse styles. He combines different techniques: fusion, sandblasting with colour and metallic oxide airbrushing. 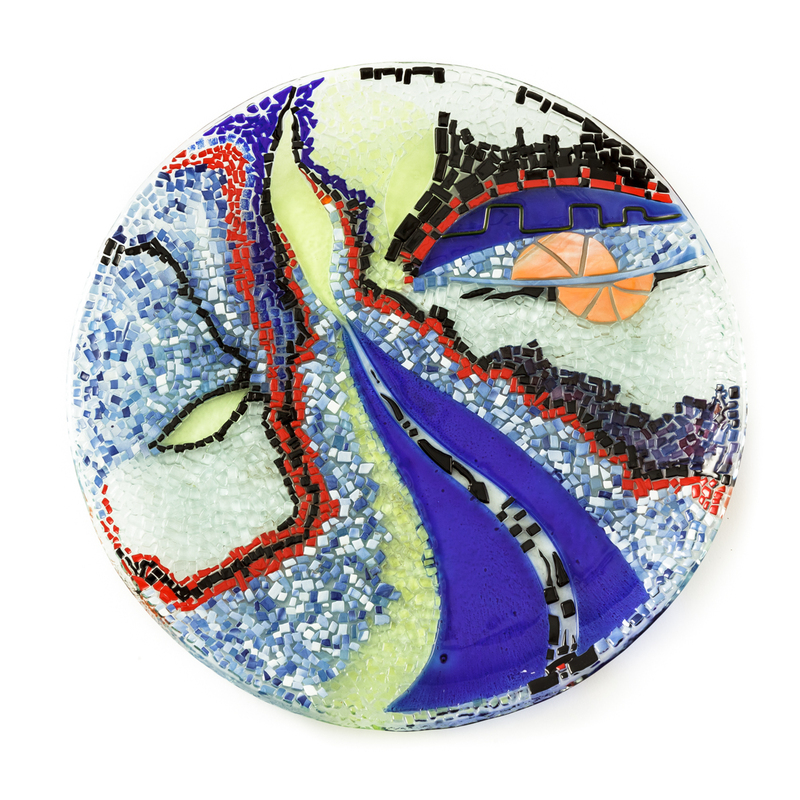 With the glass fusion technique, performed with a special kiln, he merges individual tiles into a single piece, to create decorative many-coloured designs and complex decorations. The combination of juniper wood in his latest creations is a hallmark of his creative line.